Everybody loves pizza and it is the one thing that will instantly warm you heart. It is the ultimate form of love. 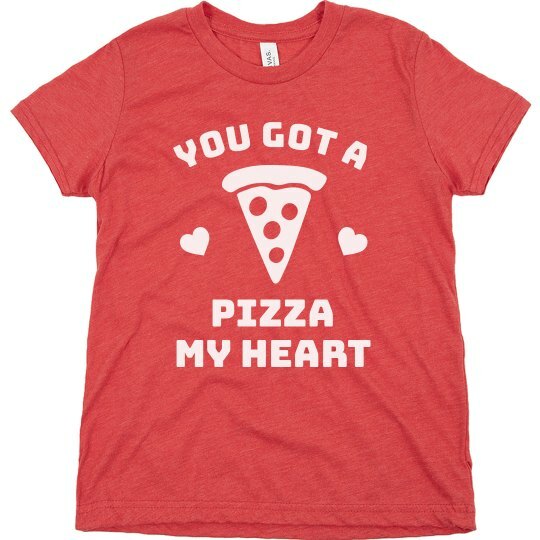 Have your little one give those fuzzy feels just like a hot slice of goey cheese pizza with this fun custom Valentine's shirt.